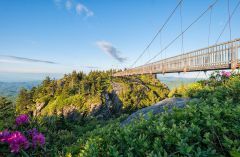 The Country Inn & Suites® by Radisson, Boone, NC is pleased to include tickets for two (2) adults for Grandfather Mountain in this package. Ages nine and up are adults. Please check the Grandfather Mountain website for the most up-to-date hours and information.